Little Red Riding Hood is Red Rake's unique take on a classic fairytale into an online slot. The game takes you on an adventure into the woods to try your luck against the big bad wolf and score gold. You can do start by betting a minimum of € 0.01 up to a maximum bet of € 100. 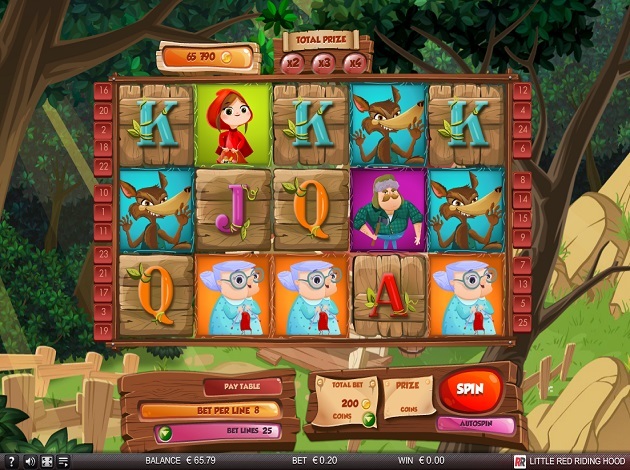 Little Red Riding Hood is a - reel slot with 3 rows, 25 paylines and special features such as wilds, multipliers, scatters and symbols that transform into wilds. The gameplay is pretty simple and it never gets too confusing. You can see your paytable on a wooden board and next to that another board with your total bet and prize. Everything is displayed neatly and simply which makes for a pleasant gaming experience, and you can also choose to use the autospin feature. 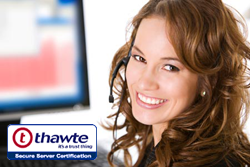 The slot has an RTP rate of 95.77% and its variance can be classified in the low to medium range. The game's jackpot isn't the largest and it's not a progressive jackpot either. However, if you go for the maximum bet of € 100, you can hit the non-progressive jackpot of 200x your stake, meaning you will be rewarded with € 20. There are plenty of special features in this game including free spins, wilds, wild multipliers, and scatters for many different combinations. There are 2 wild variations in the game. One is the food basket and the other is the cottage house. There's also the Little Red Riding Hood scatter and the free spins round. The food basket is a wild multiplier which multiplies the total prize when it appears in the same spin. The normal wild in the game is the cottage which substitutes any other symbol except for the Little Red Riding Hood scatter and the wolf scatter. The scatter symbols are the Little Red Riding Hood symbols. If just 3 of these symbols appear anywhere on the reels, this initiates the free spins bonus. The free spins bonus awards 10 free spins and whilst you are using those free spins, you can collect various symbols to boost your free spins. If you collect the Little Red Riding Hood symbol, the axe-wielding man symbol and the happy granny symbol, you can get even more free spins, so watch out for those symbols. In the free spins phase, things get really fun because you can collect scatters to transform the characters on the reels into wild symbols, getting even more free spins. The highest paying symbols on the reels are Little Red Riding Hood herself and the old lady, giving you 150x your initial stake for 5 on a payline. Next is the big bad wolf and the axe-wielding man, giving you 125x your stake for 5 of them. The lower value symbols A, K, Q, J, and 10, pay between 5x to 100x times your stake. You can land the highest winning combination of 200x times your bet if you land 5 cottage house symbols on the reels. The graphics and the design in this game are definitely what stands out. The character design is simply amazing and definitely one of the best Red Rake has come up with. Set against woods full of trees, the reels are framed in patched up wood and the colours are bright without being flashy. Symbols look like they come out from a fairytale book which makes this game irresistibly attractive to play. They include a googly-eyed Red Riding Hood, a sweet-looking grandma, the bad wolf and the bad wolf disguised as the grandma, the axe-wielding man, and the card values. You'll also hear the sweet sound of birds chirping happily in the background. Little Red Riding is a great slot overall, with beautiful graphics and an amazing design. Although the jackpot isn’t among the most generous, there is a change for plenty of small wins if you stick to the game. Where it lacks in the size of the prizes, this game definitely makes up for in design and fun gameplay. Red Rake Gaming is a software development company, specialising in Slots and other casino games. Spain might not be the Mecca of online gaming, but Red Rake Gaming provides an exception. With a development crew of Spanish natives, the website is offered in Spanish and the company headquarters are in Valencia, Spain. Because of this, the main markets are those of Spain and Europe. The Red Rake Gaming team consists of 40 experienced professionals, who have created the world´s first video slot with orbit reels! The employees mostly focus on generating high quality content in the casino industry, with a particular focus in slot games. These are all quite successful, generating a volume of more than 5 million spins daily, just to mention some of the statistics related to it. These statistics are pretty positive: Red Rake is a company with over 40 employees, offering over 50 Slots in 16 languages, 7 casino games on Facebook, 15 million users, and 15 new Slots every month – just to mention a few. The game portfolio of Red Rake Gaming is vast and versatile, offering games with various themes, spectacular graphics and animations, as well as careful algorithms that result in an even better gaming experience. Red Rake Gaming editions we offer at Videoslots.com right now are Little Red Riding Hood and Atlantis.